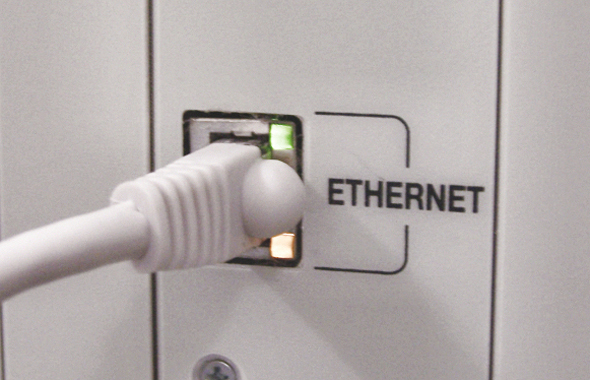 Today, Ethernet is the most popular network technology. The first mention of Ethernet appeared in 1972 city, data is then forwarded at a speed of up to 3 Mbit / s. Ethernet What is learned in the world in 1973, when Robert Metcalfe described the potential of the new technology to its management. In 1979. Robert created the company 3com, Create a network equipment. In 1980. It appeared DIX Ethernet standard, 3com and has become a leader in the field of network technologies. The first official Ethernet standard was created in 1983. First, computers were connected by coaxial cable. Later widely used twisted pair and fiber optic cables, making it possible to simultaneously transmit / receive data, and the speed began to reach 100 Mbit / s.
1000BASE-LH – the transmission speed reaches 1000 Mbit / s., It uses fiber (to 100 km.). Today Ethernet continues to evolve, and 2015 It was expected to appear Technology, wherein the application speed reaches 1 Tbit / s. For such high rates will need full technical update, and the use of optics fibreless (FSO-technology). Thereafter, possibly, Questions What is Ethernet, will have a different response.